The likelihood that any of us will ever engage in real life or death combat with a sword is, to put it mildly, slim. What, then, is our motivation for practising historical martial arts today? Each practitioner is going to have a slightly different answer to this question. For myself, my interest can be broken down into three approaches: the historical, the practical, and the philosophical. After an unforgettable weekend of swordplay and camraderie last September, Château de Castelnaud has invited me and the gallant fighters of La Mesnie du Blanc Castel to return once more to stage a Passage of Arms. Once again I, as tenan, will match my skills and my sword against a series of challengers throughout the weekend. In addition, you can look forward to a weekend of talks, demonstrations, and displays by skilled craftspeople. More details will be forthcoming as they are confirmed, so stay tuned. In the meantime, you can follow my progress in the coming year here and on social media as I prepare once more to submit myself to the Judgement of Mars. 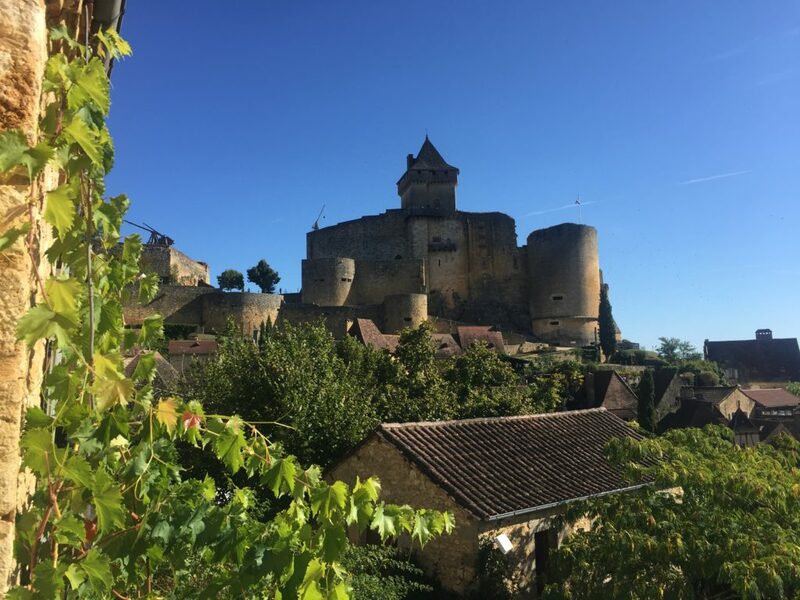 Shortly after returning from Castelnaud and the Judgement of Mars, I stumbled across a delightful blog post written by a pair of British expats who now live in the Dordogne. They seem to have enjoyed themselves, and were very happy when ‘The Dark Knight’ himself reached out to them asking if I might share their post with my readers. You can find the post here. My thanks to the authors for coming to the event and for writing the post. 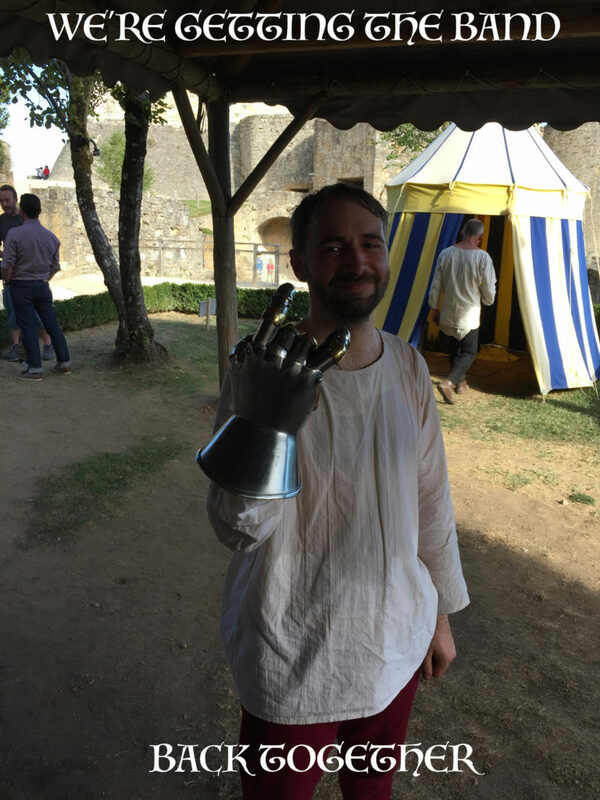 Below is a write-up with photos I produced shortly after returning from The Judgement of Mars, the passage of arms I organised on 15-16 September 2018 at the amazing Château de Castelnaud in Aquitaine, Southwestern France. It will remain one of the most memorable weekends of my life. 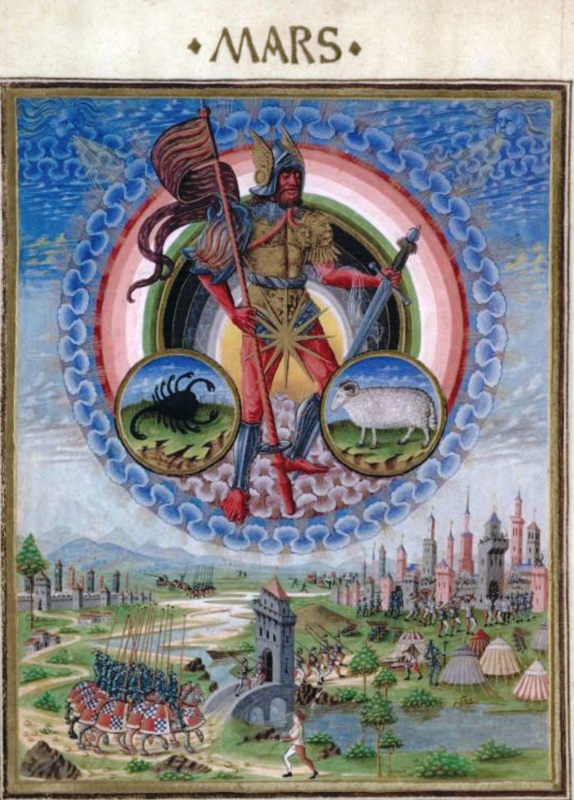 For those who are interested in learning a bit more about my thesis exploring armed combat in Late Medieval Europe, and want to know what they can expect when the book is published, you can find a comprehensive summary of the project here. More details to follow about publication as and when they are confirmed. 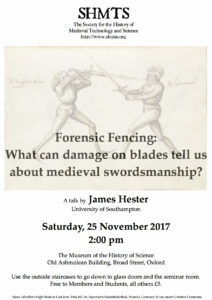 I, James Hester, having dedicated my life to the study and practice of the sword, and out of a desire to test and improve my knowledge of the art, do hereby declare my undertaking of a passage of arms at Château de Castelnaud, Castelnaud-la-Chapelle, France, from the 15th through the 16th of September in the year 2018. I therefore invite challengers to face me in an exchange of blows in light armour with the longsword. For those of you who might be interested in learning a bit more about some of the things I’ve been picking at in my PhD for the last two years, I shall be giving a talk at the Museum of the History of Science in Oxford later this month. Click here for an abstract of the talk. 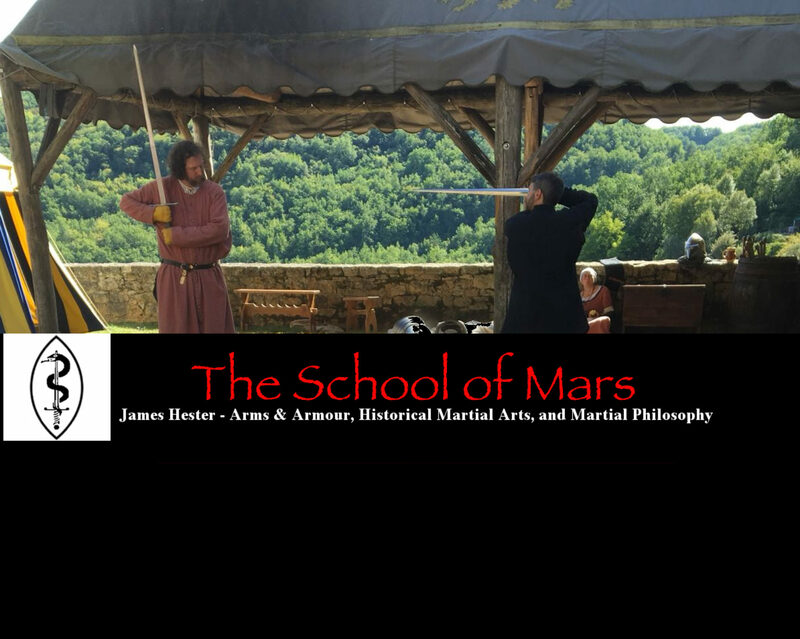 Prior to my career studying early arms and fencing, I had spent years writing and performing stage fights for plays and several Renaissance festivals throughout New England. Gradually, I met more and more people who were involved with the more historical side of things, and found my way into that world. But teaching and performing stage combat remains a passion for me. Generally speaking, a stage fight will never be the same as a real fight (by which I mean one where you’re actually trying to hit the other person, rather than just pretending to). They tend to involve, and need, very different things. A stage fight must be entertaining and engaging for the audience, reasonably easy to follow, be safe for all participants, and somehow contribute to furthering the story that’s being told. A real fight is under no obligation to be any of these, and frequently is none of them. 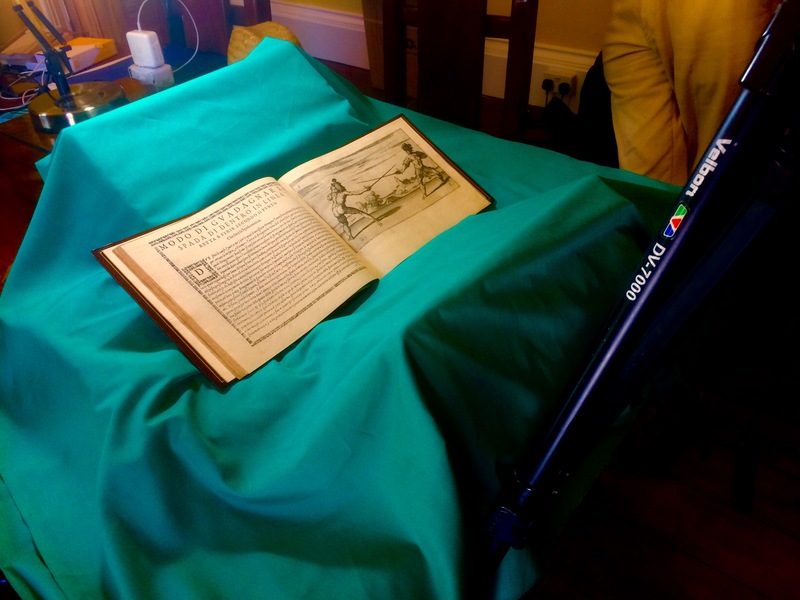 Last weekend I had the privilege to be assisting fellow fencing scholar-practitioner Guy Windsor in beginning a massive undertaking to digitise the extensive collection of early fencing treatises held at the National Fencing Museum in Worcestershire. The collection of manuscripts and printed books includes some of the most iconic works dating back to the sixteenth century. We got a fair bit done in three days, but there is much more work to do, so stay tuned for updates on this ongoing project. It wasn’t all work of course. 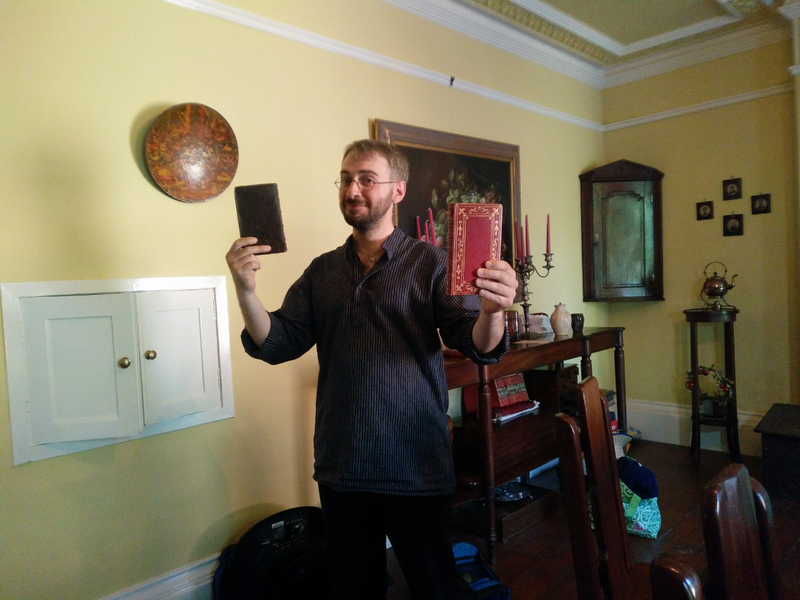 In my right hand, a 1687 treatise by Sir William Hope. In my left, a 1729 work by the same author. What is it that drives me forward to keep photographing pages with so many more texts to go, you may ask? Why, nothing less than hope beyond hope.